The RxSorbo web page showcasing insoles for cleated footwear has been updated in time for football season. Visit to learn about available choices in insoles for cleated footwear. Insoles for cleated footwear represents one of the most technically challenging uses for shoe insoles. RxSorbo, a leading online retailer of top-rated shoe insoles, is pleased to announce that the Web page showcasing insoles for cleated footwear has been updated in time for the upcoming football season. The available insoles include heel pads and ball-of-foot pads. 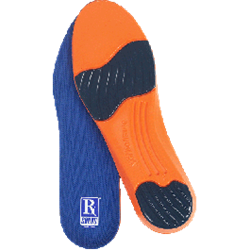 To learn more about the insoles for cleated footwear and to view the newly updated web page, please visit http://www.rxsorbo.com/insoles/cleated-footwear/. Four new options are available suitable for cleated footwear, just in time for the upcoming Fall football season. To browse available insoles for other activities, one can visit the following URL: http://www.rxsorbo.com/insoles/walking/. There, one can browse the company’s classic heel pads, classic insoles, and the all whole line of walking sole insoles.